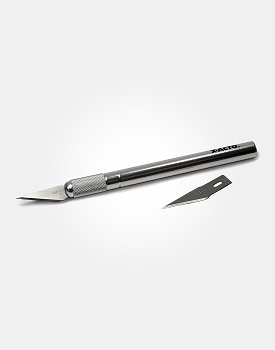 FLEX-1200 is designed to repair concrete cracks that are hairline to wide. 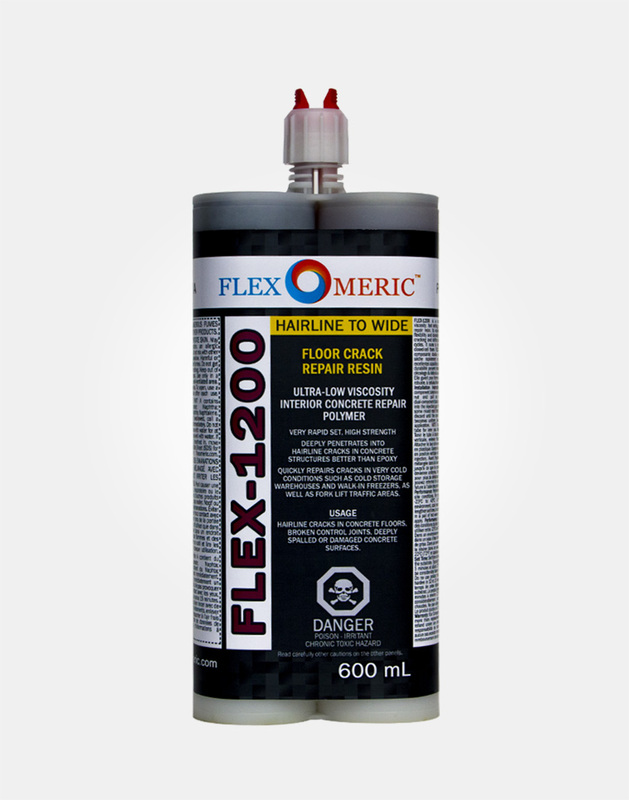 Flexomeric FLEX-1200 is a dual component, ultra low viscosity (very thin), high-quality interior concrete repair polymer. 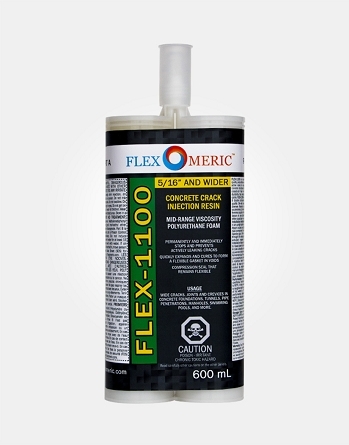 Flexomeric FLEX-1200 is designed for rapidly repairing spalled or damaged concrete surfaces, broken control joint walls and various cracks in concrete. 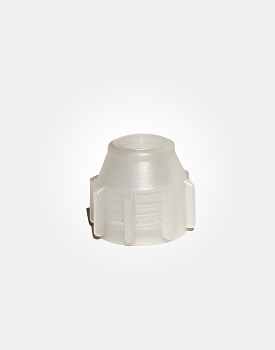 It penetrates floor cracks better than epoxy and does not become brittle over time as epoxies do. FLEX-1200 is intended for use in broken concrete such as overhead concrete cracks, hairline floor cracks, parking garage decks and spalls and crack in forklift traffic areas. 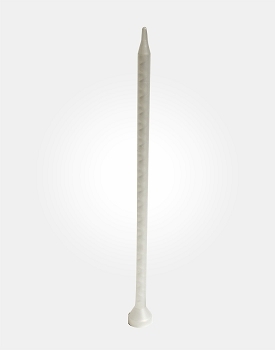 It is unique in that it can be used below frigid temperatures as found in cold storage warehouses or walk-in freezers. For hairline to wide floor cracks in industrial settings. FLEX-1300 and FLEX-1350 are better suited to repair basement floor cracks. I would advise anyone considering using this particular product to be familiar with what 'ultra low viscosity' means. It means it's almost like water, so while I'm sure this is a great product if it's poured somewhere that is contained, but if you put this stuff in a crack that has no bottom, it just dribbles down thru the crack and won't stay where you want it. 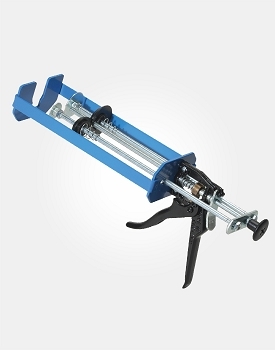 I couldn't use it at all for my basement floor, & bought some higher viscosity product...stuff that was less watery. So my 2 star review is probably unfairly harsh, I'm sure it's great when used appropriately. Hi Shane, thank you for your feedback on the FLEX-1200. We're sorry you had this experience with our product, and we've taken some steps to clarify our product listings with regards to their intended uses. 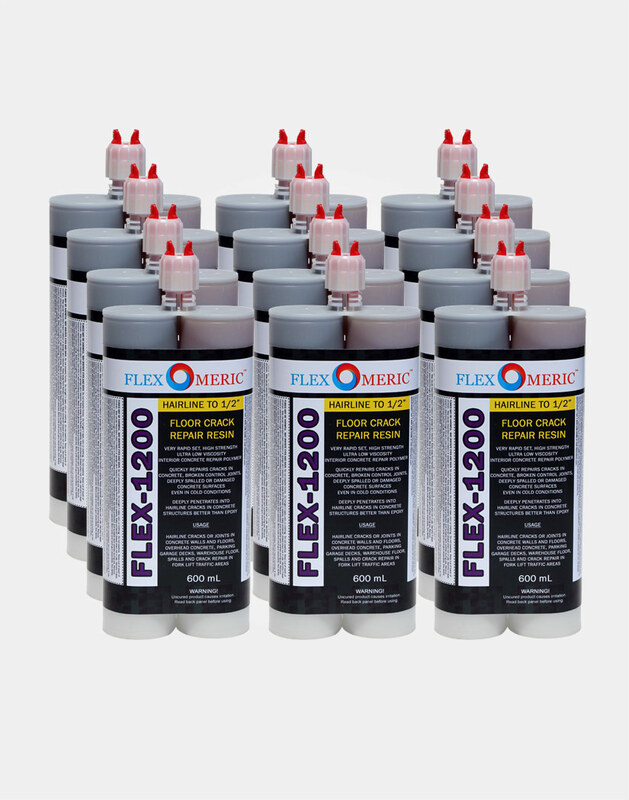 You are correct that the FLEX-1200 is an ultra-low viscosity product, and may require some filler (like silica sand) to be adequately contained in wide cracks. It is more suited towards industrial settings like parking garages, forklift traffic areas, storage warehouses, or cold condition areas. Our FLEX-1300 and FLEX-1350 resins are more suited towards basement crack repair, as they are a higher viscosity material. Thank you for your response, and we hope to assist you in the future.